What if I told you that you could take a trip to London and have tea with the Queen for less than 50 kr?! I do not kid you – for only 56 kr (per leg) with Momondo you can fly to London. 🙂 Roundtrip only costs around 120 kr! The flights are with Ryanair from Aalborg, Copenhagen, Aarhus and Billund to London-Stansted or London-Luton. Included in the price is one piece of hand luggage (10 kg). Checked luggage is available at an additional cost. Visit the Big Ben, the Buckingham Palace or cross the Thames River over the Tower Bridge. 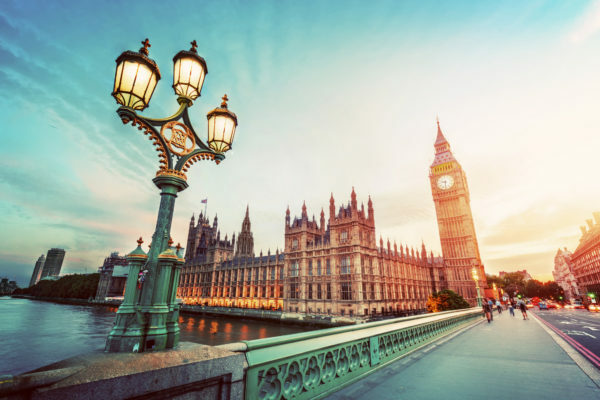 For more highlights in London visit my “London Tips“ article and check out some interesting facts about Great Britain’s capital. There are available dates in May, like I’ve listed below. Simply click through the links and see if you can find something that fits with your schedule. If you’re looking for hotels in London for your trip, we recommend Booking for the best deals. Sign up for my Newsletter, and don’t miss anymore deals. You’ll be the first to find out about our London bargains!